Florida Beach Weddings, how do they work? Florida Beach Weddings have never been easier. But how does it work exactly? Location, location, location. We all know location is important, your wedding day is no exception. 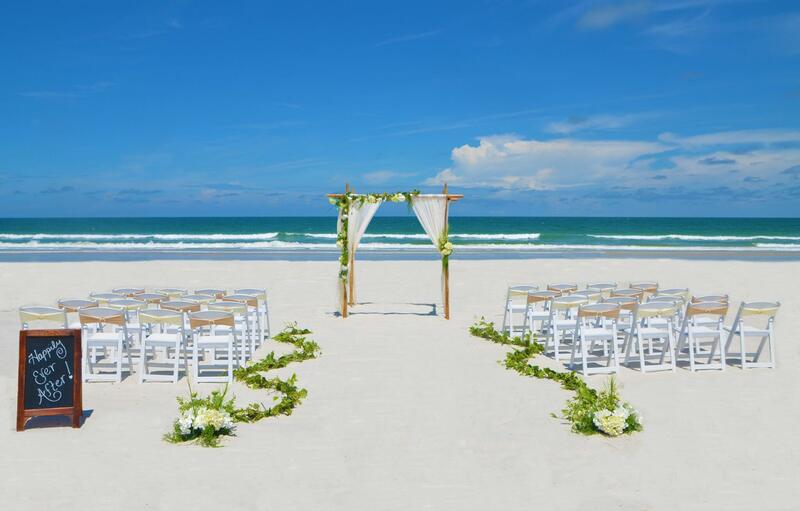 First, check out our Florida Beach Wedding locations to choose your ideal ceremony spot. Once you have chosen your city, you can reserve your wedding date. A non-refundable deposit is required to reserve your wedding date. This non-refundable deposit is subtracted from your package balance. Then, once you have reserved your date, you will receive your link to your client portal. This portal will be unique for each bride and will include all of your important documents such as; your contract, selections worksheet, invoices, optional additions and more. With easy and convenient e-signature on all items, planning a wedding ceremony has never been easier. In addition to all the generic timeline you will receive upon booking, the week of your wedding you will receive a detailed timeline. This will let you know when to arrive at the beach and where we will meet you. 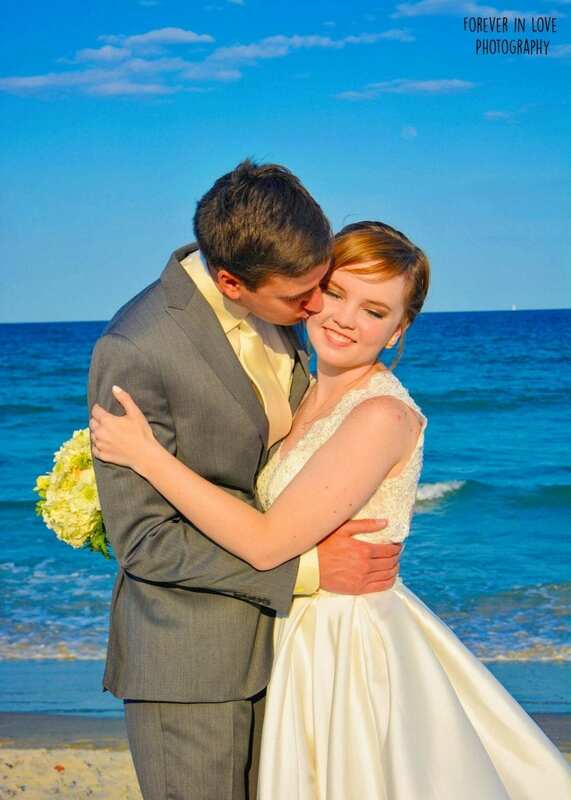 Finally, say, “I Do” on the beautiful beaches of Florida surrounded by the ones you love. Working with a professional, reliable and experienced beach wedding company can make all the difference. 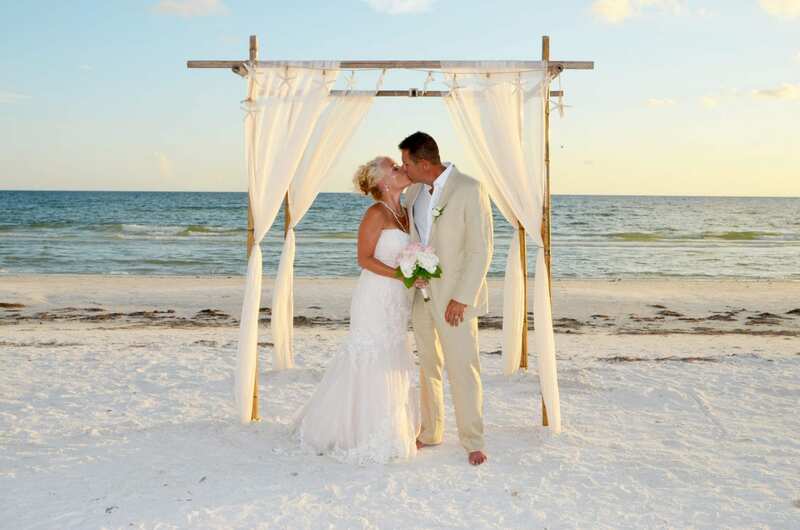 Our experienced beach wedding coordinators and designers can recommend local amenities, answer any questions you may have, pull all the necessary permits for you, and make sure all the details of your beach wedding ceremony are executed. Our skilled crew members set-up all of our beach weddings exactly as pictured online, so there are no surprises when you show up on the beach. Also, our skilled photographers take great pride in making sure you get the best pictures possible to show off back home. We are a family owned and operated company that understands just how important this wedding day is to you, and we want to make sure we do everything possible to ensure that you get the wedding you have been dreaming of. For more information about our company, visit our about us page. Most importantly, we believe everything about a beach wedding should be simple. 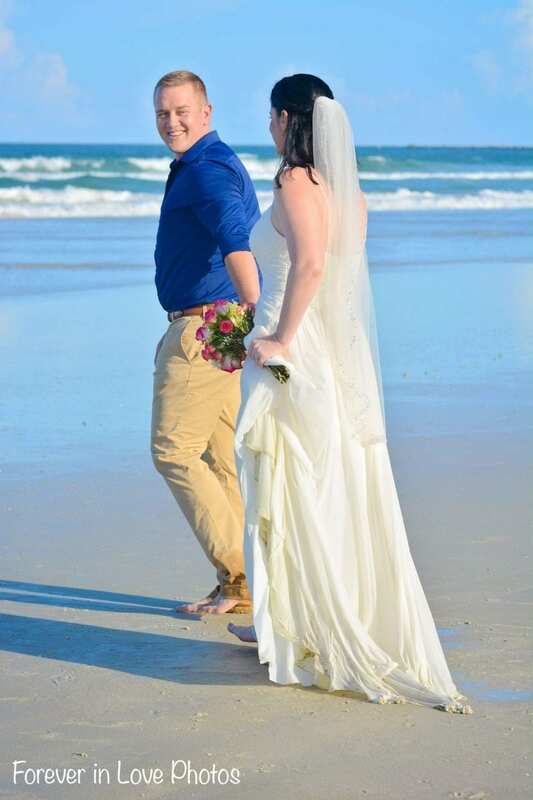 One of the biggest appeals about a destination wedding is to escape the stress of a traditional wedding at home, and we take that idea and apply it to all of our beach weddings in Florida. Therefore, all of our decor is pictured online and your client portal has all of your wedding information you’ll need all in one convenient and easy location. Then, to make it even less stressful, we pull the permits, set-up the beach, and include everyone needed to make your destination wedding a success. All you have to do is show up! Check out our beach wedding packages here and say good-bye to stress and hello to relaxation! We spend weeks designing our Florida Beach Wedding Packages. First, we study new trends and how to put our own twist on our unique and elegant beach wedding packages. Then, we find the best quality materials to make sure your beach wedding ceremony is as beautiful as possible. Finally, we are always adding colors and packages to make sure we have exactly what you are looking for. 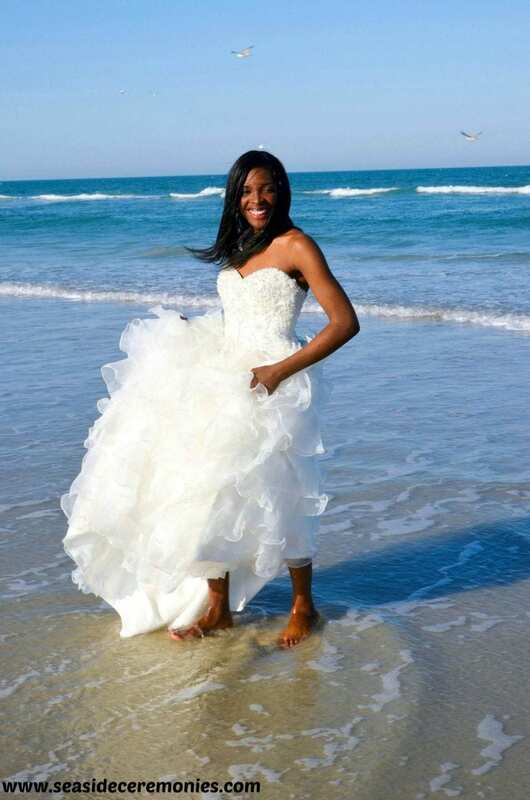 Florida Beach Wedding Packages, are they the way to go? 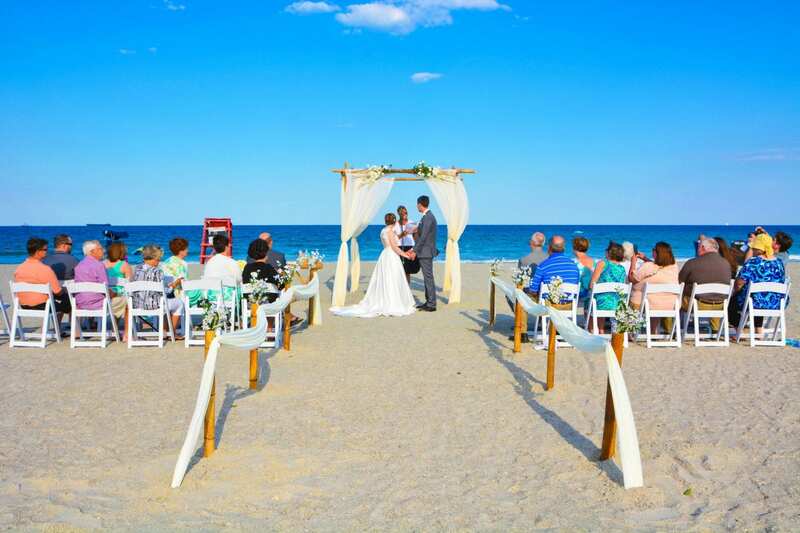 First of all, all of our beach wedding packages can be customized to your colors. Also, since most of our couples plan their wedding from a distance, we make it easy for you to see all of your choices online. With our packages, you you know what the design will look like, but have complete freedom design. With a wide variety of colors choices, flowers, music and more, you can put your style in it. Being a one-stop-shop has so many benefits. First, dealing with one company makes it easy to keep track of your contacts. 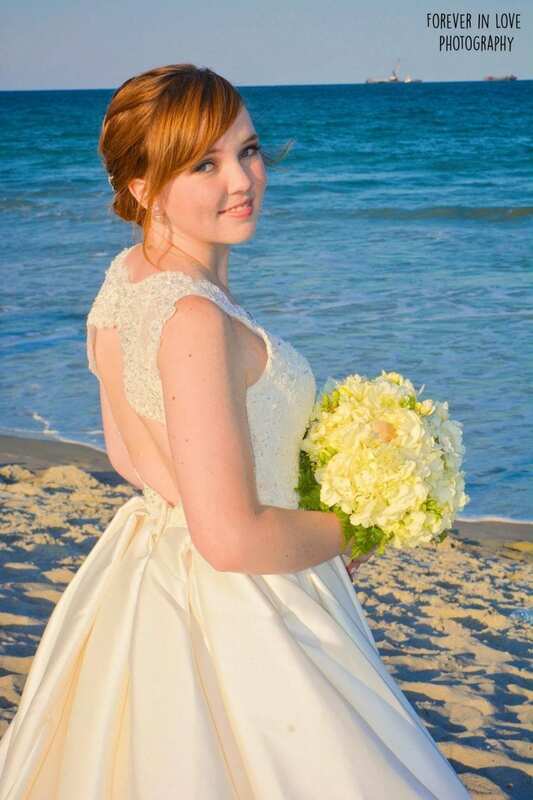 Second, beach wedding packages allow you to easily keep track of your ceremony costs. In addition, our designers work hard to make sure that we stay modern, classic and timeless. Above all, we strive to make sure that all of our destination weddings are the best they can be. 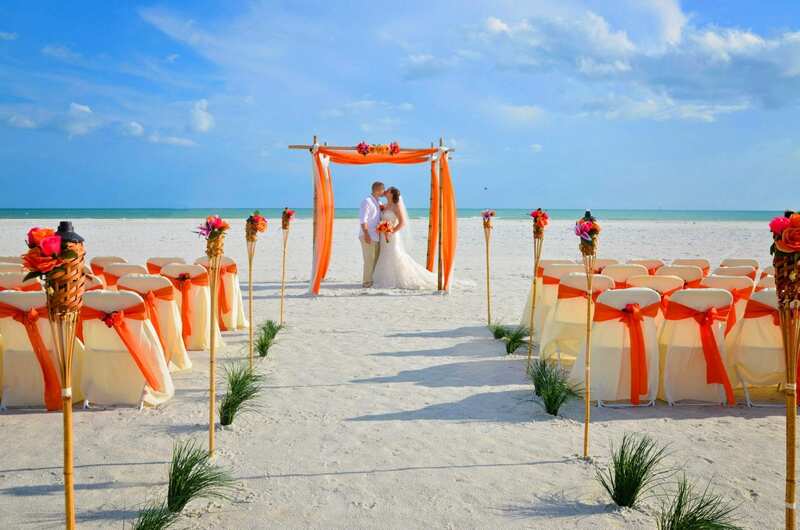 Our friendly and experienced staff are trained to make sure your beach wedding decor looks exactly as photographed. In addition, we confirm all of your wedding details with you before your wedding to make sure all details of your ceremony are covered. Also, Our photographers enjoy taking the best possible photos of your wedding day for you to show off back home. 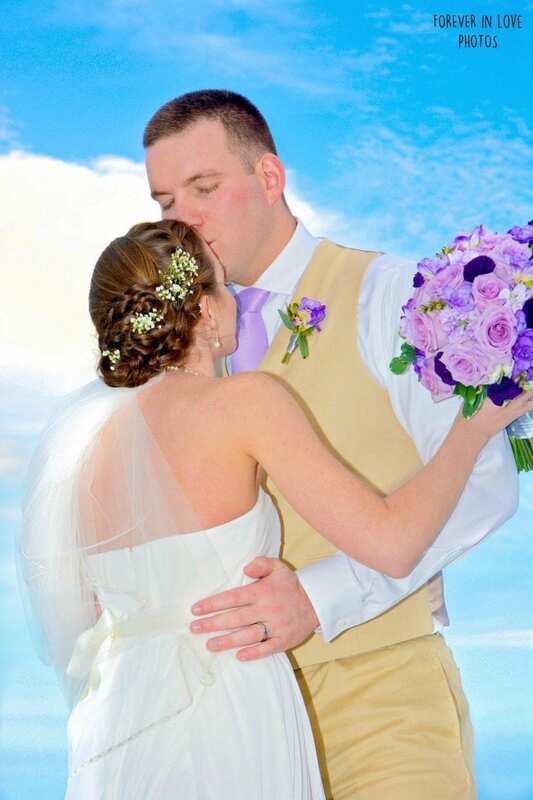 So, feel free to check out our reviews before you embark on your beach wedding ceremony with us.